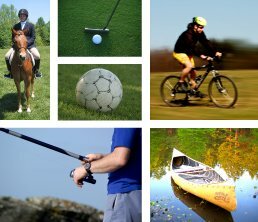 There are many activities to be enjoyed near by from sports such as badminton and football at the local leisure centre to Mountain biking, walking and horse-riding along the river from the coast to Hadrian’s Wall or fishing on the banks of the Tyne. When you stay at the Keelmans’ Lodge, all these facilities are close at hand. Many activities can be combined with a visit to one of many local attractions. For more information please click on an activity below. 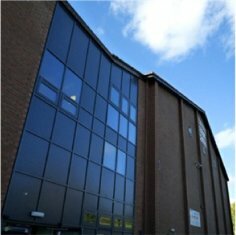 The nearby Newburn Leisure Centre is less than 2 minutes walk away and offers a wide variety of indoor & outdoor activities that will appeal to novices and experts, children and adults, individuals, groups, families or schools. Indoor facilities boast a climbing wall, the Impulse fitness suite with it’s supporting fitness classes, and a range of traditional activities from badminton to football to trampolining and soft play for under eights. Also on offer are all manner of water sport activities including bell boating, kayaking, canoeing & raft building. The centre also has two speedboats that can accommodate wheel chairs for visits to Newcastle quayside or fast runs from our ramp. Mountain bikes to explore the countryside around the Keelman’s can be hired by the hour on an individual or group basis. For more information please visit the Newburn Leisure Centre website. Site and the Solway Area of Outstanding Natural Beauty (AONB). 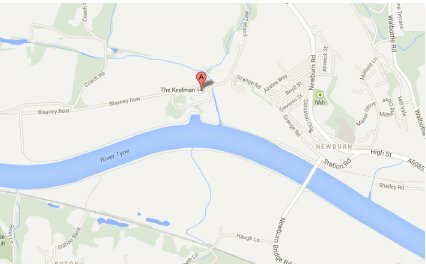 Right on the famous Hadrian’s Cycle way, the Keelman’s makes an ideal stopping point for anyone travelling the route or as an excellent base to explore the eastern end of this historic route. Good, well-maintained cycle paths stretch in both directions along the river Tyne so you don’t have to be an experienced cyclist to enjoy the well-laid paths and country riverside setting. Mountain Bikes can be hired from Newburn Leisure Centre (See above). 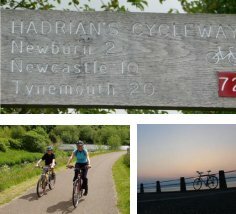 For more information please visit the Hadrians Cycle Way website or cycle-route.com. The Tyne is regarded as the best Salmon River in England and Wales. From its low in 1959 where no salmon or sea trout where reported caught by rod and line today we see over 6000 migratory fish landed. 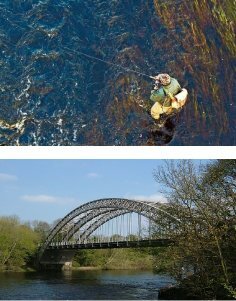 This renaissance means that the Tyne is now the best salmon river in England and Wales. Beginning at Wylam situated at the upper tidal limit, the Tyne is rightly famous for its early start to the season. In most years the first salmon of the season will be landed on February 1st, the opening day. These spring salmon are much sought after due to their high average weight and are caught throughout the Lower Tyne from Wylam through Ovingham and Bywell and upstream to Hexham. The fishing season here lasts until the end of October. For more information please visit the Fishpal website. 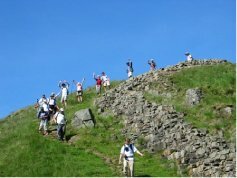 Walk to parts of Hadrian’s Wall, visit sites of past battles between the Scottish and English or simply get lost in the beautiful Tyne valley. Walking here can be endless. There are a number of trails laid out by National Trail, more information can be found by visiting their website. 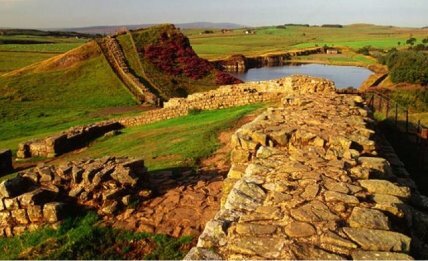 For more information please visit the Hadrian’s Wall Path page on the National Trail website. Kayaks, canoes, bell boats and speed boat trips are all available along the river Tyne. Most equipment can be hired from Newburn Leisure Centre (see above) and trips are launched straight from the ramp near the Keelman’s. Bell Boating is a particularly good activity for groups to enjoy. Bell boats are two connected canoes with a safe plat- form that can be walked on typically suitable for up to 10 children or 8 adults. 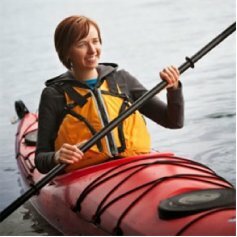 Paddlesport (kayaking and canoeing) is an affordable and accessible activity – with no need to purchase equipment straight away as Newburn Leisure Centre often runs special sessions for newcomers. There are two beautiful golf courses just a short distance away: Wylam Golf Club and Close House Golf Course. Close house offers and 18 hole course and is open to golfers of all ages and abilities, from grass roots beginners to seasoned professionals. For more information please visit the Close House website. Situated on Hadrian’s Cycle way the surrounding area is full of things to do and places to see. From mountain biking to historic forts there is something for every- one weather you want to explore or just relax by the river. The North East of England is rich in historical and Natural attractions, including the famous Beamish Museum and Durham Cathedral. The grounds are in fact part of the site of the Battle of Newburn which preceded the English Civil War. Take a bike ride or walk to Prudhoe castle, visit one of the many famous sites along Hadrian's Wall or explore the flora and Fauna of the adjacent countryside.